With one third of a child’s daily food intake consumed at school, it’s worth making sure you get the lunch box balance right. 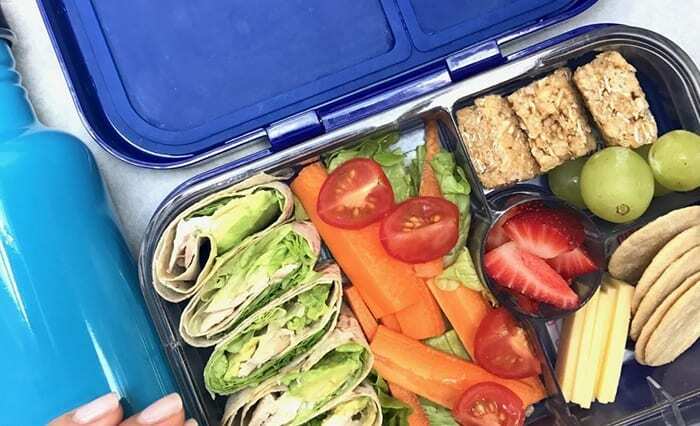 A nutritionally balanced lunch box has four key components according to Nutrition Australia, which is based on their recently updated the Healthy Eating Pyramid. 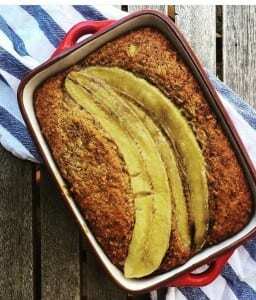 For longer-lasting energy, include a combination of low-GI (glycemic index) carbohydrates, such as wholegrain bread; a roll or flat bread; or savoury slices/muffins, or wholegrain pasta. Mix them with a protein-based filling to keep busy kids full and at optimal concentration levels for the entire school day. This includes lean meat (poached chicken, roast beef, lean ham, turkey), eggs, legumes or beans, or nut spreads (provided the school does not have a nut-free policy). Include whole pieces of fruit; chopped, crunchy veggie sticks; canned fruit in natural juice; or a small mix salad for fibre and an array of vitamins, minerals and antioxidants. Include a nourishing snack based on a core food (e.g. breads or cereals, dairy, meat) to top up energy levels and avoid the afternoon slump. Sensible choices include either a dairy-based snack, such as yoghurt, cheese, plain milk or milk alternatives (such as calcium-fortified soy), or carbohydrate-based foods including grainy crackers, plain popcorn, wholemeal fruit muffin, homemade banana bread, or protein-rich foods, such as a boiled egg, hummus or canned fish. Agree to include a treat occasionally. Moderation is key. For optimal hydration, always include bottled water – tap water is fine. Plain milk is also acceptable. We would love to hear your child’s favourite lunch box meals and snack ideas.